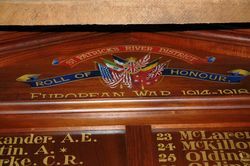 An honour roll commemorates those who served in World War One. 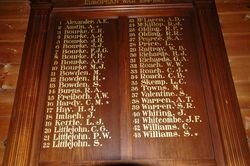 It lists 43 names. 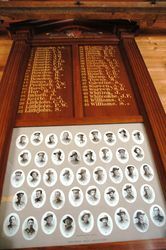 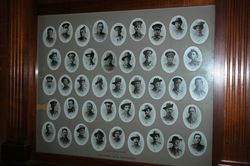 A wooden honour roll with a photograph of each person listed.